Ap Monica themes has been purchased 23, rating: 4/5 based on 4 reviews. 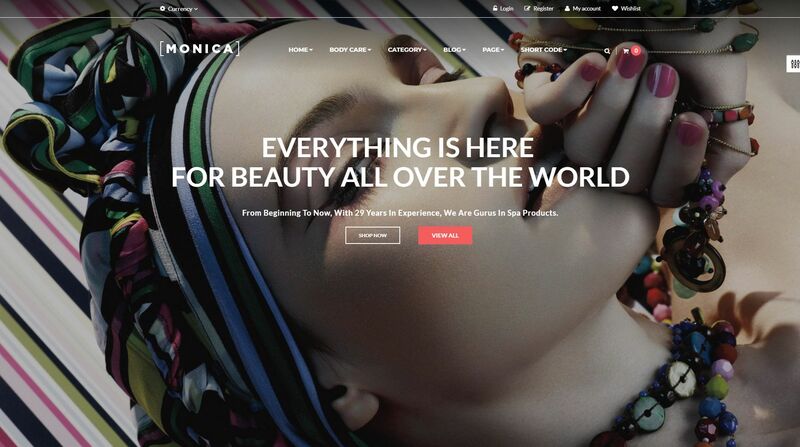 Monica is a great Shopify that suits fashion stores, accessories, jewelry, clothing, etc. This theme includes over 8 available and unique homepages to e-commerce stores. In addition, it owns tons of powerful modules such as Mega Menu, Blog, SEO, Revolution Slider, Slideshow, Ajax Search, etc. Furthermore, the Monica Shopify theme has a flexible and intelligent control panel. It’s time to select the AP Monica Shopify theme for your online store!